"I don’t think anybody actually cares about this with 2D games"
Wii U owners might not be quite so concerned with the subject of what resolution their games are running in, but for Xbox One and PS4 fans it's an ongoing concern. With certain cross-platform titles running at a higher resolution on one machine than the other, the topic is constantly being used as a weapon to assert the superiority of hardware. Our game is 480p. It’s low resolution, and very intentionally so. It is pixel style, so why would we make it 1080p? I don’t think anybody actually cares about this with 2D games. It’s always more of a question of 3D games. Resolution actually matters in that case. But in 2D games, it’s just the resolution you draw your sprite at. I don’t think that question has ever been a point of interest for anybody on 2D games, really. That might sound like stating the obvious, but even in relation to 2D games there are people who become obsessed with what resolution titles are running at. These same individuals might feel that developers like Preston are short-changing gamers by going with 480p, but it actually makes perfect sense — that gorgeous, blocking pixel style wouldn't look at better or sharper at 1080p or even 4K. Many 2D games I've played have looked lovely on my TV despite their low resolution but many have looked equally as manky. I'd rather just have an HD resolution. It's very important to make the distinction that he's talking about the resolution of the pixel art, not the output resolution of the game. Yes, it will look just fine at 1080p and beyond. Shovel Knight does, and its resolution is lower than 480p. It all comes down to art direction and art style. Have the appropriate resolution for your spritework. Thats pretty much all you need from a technical standpoint. If anyone wants to see modern spritework at its best, look no further than Arc System Works or Vanilla Ware games. Though i have to say, What Arc System has done with Guilty Gear 3 is still mind blowing. Watch a trailer and keep in mind, that everything you see is a 3D model and not hand drawn art. I simply cant wrap my head around how amazing this cel shading job is. KoF XIII is the gold standard everyone should be aiming for sprite based. If sprites are not integer scaled they look fuzzy. SSB U is a 2D game (although without pixel sprites) that would had been unplayable in 8-player Smash at 480p. 2D might be setting themselves up for a fail, not for me but for those pushing the 1080p agenda! "Seriously you want 1080p 60fr but don't care if its working out of the box! They will patch it you say....gtfo"! @jariw 2D gameplay, 3D graphics. There is a difference. 2D graphics is probably the point of discussion. It doesn't matter even in 3d games either(That much, to me). I find shaders and lighting effects much more important aspects in creating the game world. I also would exchange resolution into better frame rate and also rather use all the available time and processing power into more convinsing animation and AI. @SpookyMeths It looks fine in 1080p, but doesn't benefit from it. I would like to say I like 2D games better on the 3DS with the full 3D effect much better than HD versions in my opinion the 3DS versions of shovel knight and mighty switch force etc.., look so much better in 3D than HD. @Will-75 Shovel Knight is not HD. It's a retro game that displays in the virtual resolution of 400×240 (which is the same as the max resolution of a 3DS screen, BTW). As long as you're using actual clean pixels with solid colours, the engine isn't blending between colours and that if you're scaling the game you're ideally doing so by some factor of two, so the pixels don't get stretched or distorted from their natural state, then it makes no difference what resolution you're running a typical 2D pixel based game at. Games like the original Super Mario Bros or say Yoshi's Island will always look stunning as long as you're not scaling or blending the pixels in such a way that it actually conflicts with those type of simple, clean, pixel based graphics in the first place. Filters for example often slightly ruin the look of these games. If you're game looks something like Donkey Kong Country on the SNES however, where it's not actually clean individual pixels but more of a blended and rendered type of look, then it absolutely matters what resolution you run the game at, what scaling you do and what size of screen you run it on imo because the larger your screen gets and the lower the resolution, the more that's just going to look blurry and sh*t. It's probably partly why Miyamoto was never that fond of DKC's visuals in the first place; because he could tell even then that they probably weren't going to age particularly well going forward. 2D isn't the real factor here. It's about having that very obvious pixel art vs a more smooth rendered look. It's when you're trying to do lots of complex patterns and blend into lots of different colours and stuff, especially with games that are trying to look all "realistic", that your game can start to look crap if you're running it a too low a resolution on too big a screen. It just so happens that many 2D games still use old school pixel art, which generally scales brilliantly, whereas most 3D games go for a more textured and rendered look. A lot of pixel developers who go HD tend to make their games look like flash games with the upgrade. I am with the developer in this article, I don't play 2d games for HD, as I feel pixel based games age beautifully. 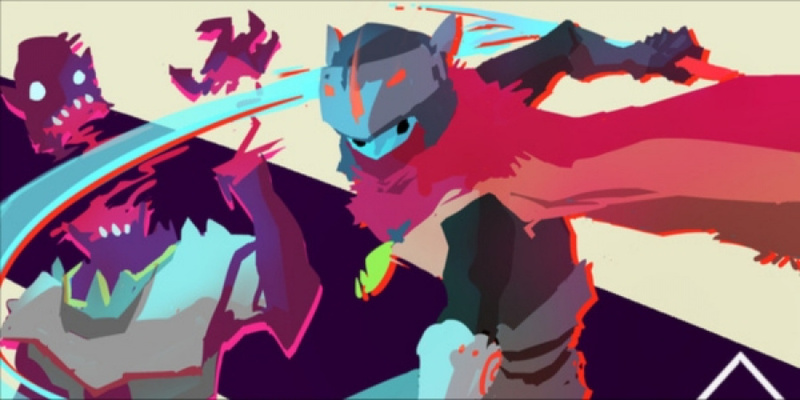 Hyper Light Drifter's resolution may not matter, but its framerate (only 30 fps) is a huge black mark against the game. 2D action games really require 60 fps in order to deliver a quality experience. They're obviously talking about pixel art, not all 2D. They stupidly seemed to make that general jump. Anyone who's played the 3DS version of rayman origins knows how it important it is. The Vita version makes it look like an absolute mess. Agreed, 2D pixel-based games like Mega Man X look great at any resolution. Going from X1 on the SNES (about 240p) to X1 on the Wii U (1080p), you can not really see any noticeable change. "These same individuals might feel that developers like Preston are short-changing gamers by going with 480p, but it actually makes perfect sense — that gorgeous, blocking pixel style wouldn't look at better or sharper at 1080p or even 4K." On the contrary, it would look better at 1080p! 480 lines doesn't scale well to 1080 lines! A better choice would be rendering at 360 or 540 lines, multiplying each pixel by three or two. Still I'm pretty sure that there is a matter of resolution even with 2D games, but I guess they only wanted to underline their game would benefit very little from higher resolutions, something I can find totally believable. @Einherjar Was it necessary to mention GG3? I hate to admit it on this site, but for the first time I wouldn't mind having also a Sony console, that was an impressive trailer, I didn't know the Guilty gear serie was still alive and kickin so well. Heh, I like this guy already. Not everything has to be hi-res. It would nice if more 2D games added the old scan line effect. Makes it look truly authentic. That's the other ingredient missing from many of these 2D revivals. He shouldn't be speaking on accord of all 2D games. What he's talking about certainly applies to games with pixel art, but in the case of games with hand-drawn or vector assets, higher resolutions certainly compliment the smoother, curved art styles that they have. Sprites can begin to look distorted, grainy, and their colors may bleed a bit at higher resolutions when upscaled to resolutions that aren't multiples of the original resolution, so I hope the developer isn't shooting himself in the foot here. My most anticipated game of the past two years. Every day a release date is not announced I die a little more. Of course it matters. You've got more pixels on the image (even though the art style is pixelated), therefore it will look better and sharper and much more beautiful. 1080p should be a must these days..
@BakaKnight Well, the series wasnt really kicking. The producer just recently got the rights back for it. In the meantime, we got BlazBlue. Its sad that it wont be released on WiiU, but to be perfectly honest, and trust me, im anything but a graphics person, but ill get this title on PS4 JUST for the graphics. Even BlazBlue is basically a carbon copy, just with a different coating. I'll have no problem with rez unless the aspect ratio is also 4:3 (640x480). Then definitely not. I care! Guilty Gear X in 4K would look absolutely stunning! @Volmun Funny that you mention it. The new PS4 version has the bullet point, that its now in "HD", the translation for it is "Its now so far zoomed out, that you wont see jack"
All in all, its less of a resolution thing and more a problem with proportion. Like many others stated, raw pixel density doesnt do jack. Most people cant even destinguish 1080 from 720 when not specifically told. It all comes down to how you "scale" your asssets. Like i stated earlier, if you design your sprites for a high resolution, but your game runs on a smaller one, sprites get mushed, look jagged and squished and overall cheap. The same goes the other way around. Well, it does matter when games are being displayed on a 52inch screen. I personally couldn't be bothered, but I think its wrong of them to say that people don't care purely because its a 2D game, intentional? so they say, and thats fine, your design choice, but don't argue that Rayman origins looks better on 360 vs. Wii, yes I'm comparing apples to oranges, but his statement just doesn't hold water for everyone. As long as its not stretched or skewed. Like I am fine playing low res GBA or NES games on the 3DS, but the fact that the pixels don't align and are blurry (only on the original 3DS) it makes it worse. 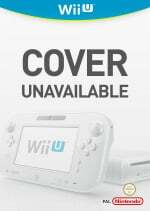 Wish we knew when this game is going to come out for the Wii U. @Vriess EXACTLY what I was asking myself since the day that they said "holiday 2014".